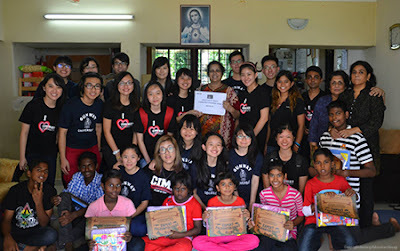 Twenty students from the Sunway College Student Council paid a visit to Trinity Home in Petaling Jaya. For their visit the students brought the children stationery items which were bought with funds raised from a charity bazaar and donation drive organised by the Student Council. The funds were also channelled towards paying for ten school going children’s Parents Teachers Association (PIBG) fees. After spending some time playing games with the children at the home, the Student Council members chaperoned and paid for eight children to experience an afternoon at Discoveria - an interactive, hands-on learning centre at Avenue K, Kuala Lumpur. There, asides from learning about dinosaurs in particular, the children engaged in wall climbing and paintball. Their day out completed, the kids were treated to a meal back at the home with a sharing session to end the day. The sharing session had everyone, including the Student Council members talk about their day’s experience. Grace Ting Soon En, Director of Academic Affair of the Sunway College Student Council, found that fundraising for their cause was not an easy task. “It requires courage and commitment to get things done. Most people will show you a reluctant face when you approach them with a donation box. Yet, my team mates and I learned to take care of our manners even upon being turned down by people,” explained Grace who is in the A-Levels programme. “I also learned time management. As most of us were from different programmes, our timetables were different too but we managed to get things done smoothly without any problems. Within a very limited amount of time, we managed to raise quite a bit of money”, she added. For the Student Council members, through the sharing sessions and the smiles on the children’s faces, they realised that they had made a small impact in the lives of the children and that bringing happiness to someone is not that difficult. 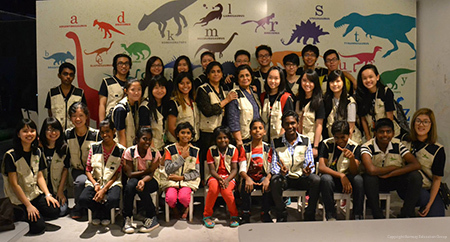 In unison, the Sunway College Student Council members agreed that, “We were glad that we did this and made a small difference in someone’s life”.